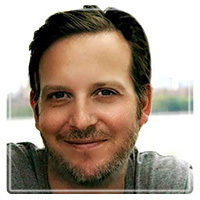 New York Therapist: Adam Lukeman - Therapist 10027. Send A Message To Adam. Hello, I am a psychotherapist who works with individuals and couples in overcoming life's many challenges. I have successfully helped many clients find solutions to their problems and feel noticeably better about their lives. The relationship which I build with my clients is genuine, and this is very important in the therapeutic process. Therapy is an important experience and I am protective of its personal nature. I relate to each person as a unique individual, with their own strengths and challenges. I work with each person in a way best suited to them. I have both graduate and post-graduate training. My experience includes literally thousands of hours working with clients in various settings. My experience also includes working in a hospital with clients who are experiencing a wide range of problems such as depression, anxiety, bipolar disorder, anger, trauma, difficult life transitions, marriage/relationship issues and emerging adulthood issues. To help with depression, anxiety, anger and fear we explore your past and see the ways in which it has influenced your present difficulty. In the process we look for repeated, hurtful patterns and find ways of replacing them in new, constructive, life giving ways. PCT is a humanistic model. It a form of psychotherapy in which the therapist focuses upon creating a comfortable, non-judgmental environment. The relationship with the client is non directive, and expresses genuineness, empathy, and unconditional positive regard. The healing nature of this relationship allows patients to access their own inner resources, and to discover their strengths. Focused in the here and now, cognitive therapy examines how one thinks, and the beliefs one has, about life and different circumstances. The idea is that how we think affects the way we feel. Developing new perceptions can result in healing of problems and ultimately feelings of well-being. I provide a safe environment for couples to work together and develop constructive ways to communicate. They learn how to listen actively, express themselves honestly, and learn how to get their needs met mutually. In the process couples develop trust in themselves and one another. I am certified in mental health first aid. During your time with me you will discover new possibilities in life, and empowering ways of solving the challenges you are dealing with. You will also feel better about yourself, get in touch with your strengths. and receive new tools which you can use throughout your life. $130.00 per 45 minute session. You will receive a bill to submit to your insurance company for reimbursement.